After shopping at Sg.Wang, my brother suggest to have our dinner at Pudu "Eat Street", you can found it just beside the road. 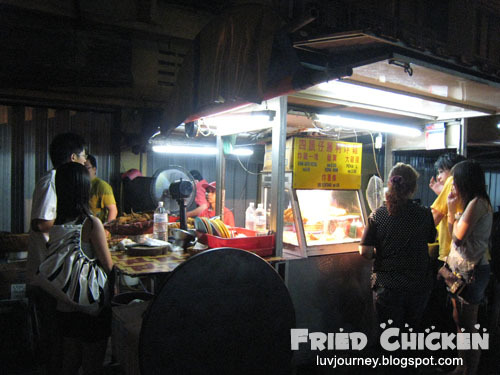 And there is a famous stall which is selling Fried Chicken and been introduce by famous artist, Wong Chui Ling. So, I should try it right? Let's see on the stall, they are selling fried chicken and french fries. 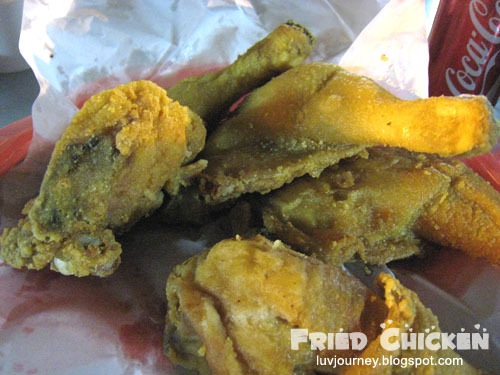 The price for big drumstick (L shape) is RM3.80, chicken wing RM2.00, fried chicken RM2.40 and french fries is RM1.50. 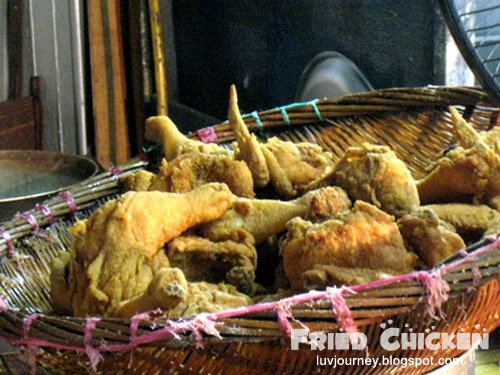 And this is what we ordered, the skin is really crispy like KFC, but the meat is just so so only. 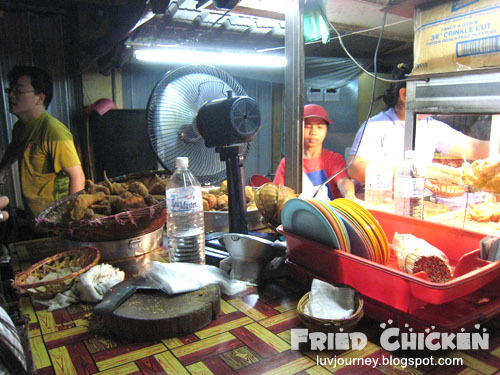 There is actually a lot os food stall on the street, but you have to carefully choose the food and the seat as well. They seems like having conflict on the business for each other, when you are there, you will know. i go sg. wang with my fren..
then she bring me to there..